Great Fluorite heart with beautiful color. 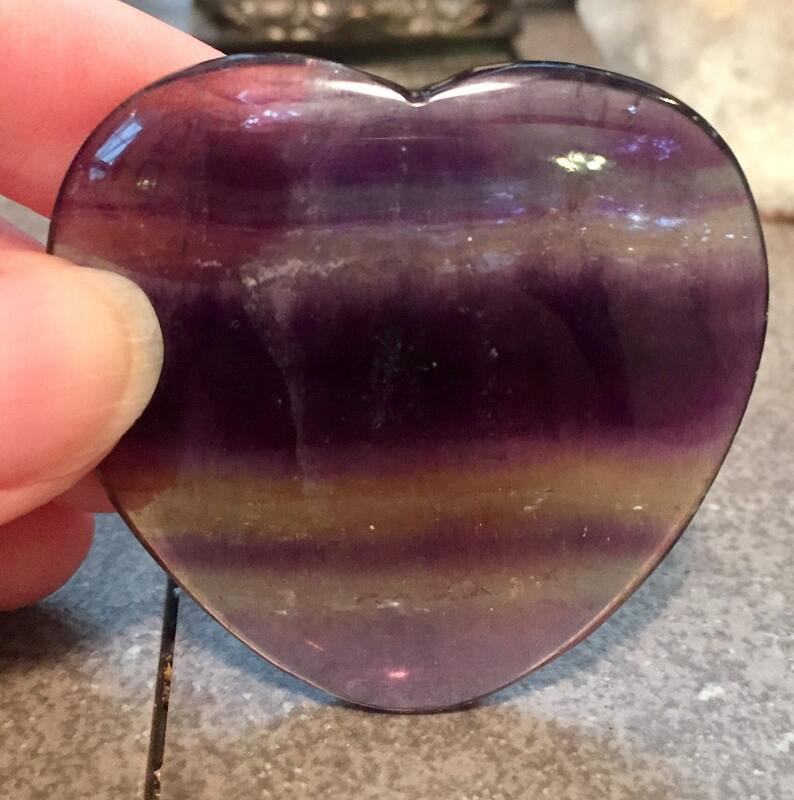 This fluorite heart is approximately 2 inches by 2 inches. It would be great as a display piece, a meditation tool or as a part of a crystal grid. This guy had a gorgeous stripes of color throughout with some purple and blue banding around the corners.